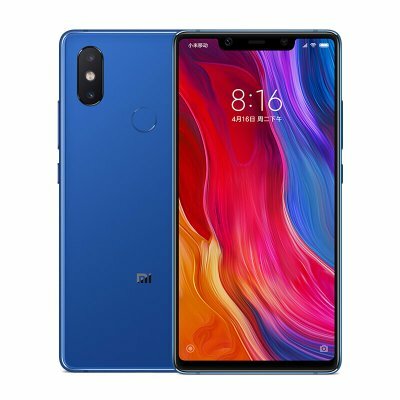 Successfully Added Xiaomi Mi8 SE Android Phone - 5.88Inch Screen, Octa Core, 64GB ROM, Dual Camera, Fingerprint, 4G Smartphon (Blue) to your Shopping Cart. This Xiaomi Mi8 SE is outstanding 4G Smartphone with 5.88-inch AMOLED Full Screen with 2244x1080 pixels and AI ultra-sensitive dual camera. Also it is the first smartphone running on the newly announed Qualcomm Snapdragon 710 and Processor Speed up to 2.2GHz to make great performance on games, movies play and so on. With the 147.28 x 73.09 x 7.5mm dimensions that is closer to the normal 5.2-inch screen size mobile phone body make you hold it smooth. And with 2.5D arc glass and the familiar arrangement of the and dual-camera make look so prettey. The Xiaomi Mi 8 SE retained the infrared function. So we can use this option to replace various remote controls. Thanks to the enhanced features of the Adreno 616 vision processing subsystem architecture, compared to the Snapdragon 660, the Snapdragon 710-equipped terminal can reduce power consumption by up to 40% when playing games and 4K HDR video. When streaming video, it can reduce power consumption by up to 20%. As for the game performance, the Xaomi Mi 8 SE faces no problem when playing most kinds of games runs on Android. In terms of hardware, the Xiaomi Mi 8 SE rear camera uses a 12MP sensor with a 1.4um unit pixel area, a f/1.9 large aperture, and supports Dual PD dual-core focusing. There is also a second sensor with a 5MP resolution, a 1.12um unit pixel ar, a and a f/2.0 large aperture. So we can say it yields the Xiaomi Mi 8 camera, but it is still very competitive compared to other models with the same price. Thanks to AI support, the camera can recognize up to 206 kinds of scenes that can be targeted for real-time optimization and tuning. Because of this, in a daily shooting, we can save time and effort to achieve better results. There is a 20MP selfie shooter on the front that comes along with a soft light. Of course, it supports advanced AI algorithms that bring natural blur effect. Plus, this camera adopts AI Smart Beauty 4.0, which can provide an astonishing make-up effect with no efforts.